Bucktown derives its name from the many goats (or “bucks”) local families used to keep at home. The goats have now left the building, but your home isn’t any more spacious. In fact, you’re really struggling to find a home for all your clothes, furniture, and camping gear. Do you rent a truck and haul everything to a self-storage unit? No. Of course not. That'd be a waste of your precious time and hard-earned money. Instead, rent nothing, haul nothing, and waste nothing by scheduling a MakeSpace pickup. What's MakeSpace? Full-service Bucktown storage that comes to you. Yes, you read that right. We’ll drive to your home, pick up your stuff, and transport everything to our secure, temperature-controlled storage facility. We’ll also create an online photo catalog of your stuff. That way, you always remember what you have in storage. The best part: When you want something back, you don't have to visit a storage unit. We’ll save you a trip and bring your stuff straight to your door. Yep, it’s really that easy. "These guys are the best. The movers were incredible and so helpful. It was so simple .. I made the apt. , they dropped off bins and came to pick everything up!!! Awesome!!!" "They were wonderful on the phone, answering all my questions, texted when they were nearby for dropoff of bins and pickups and deliveries and all around great experience. The bins themselves were a life saver, allowing us to save on boxes, and they wrapped up our other mattresses and couches. It was nice to be able to see pictures of our stuff on the app and making appointments was very easy. Amazing experience." 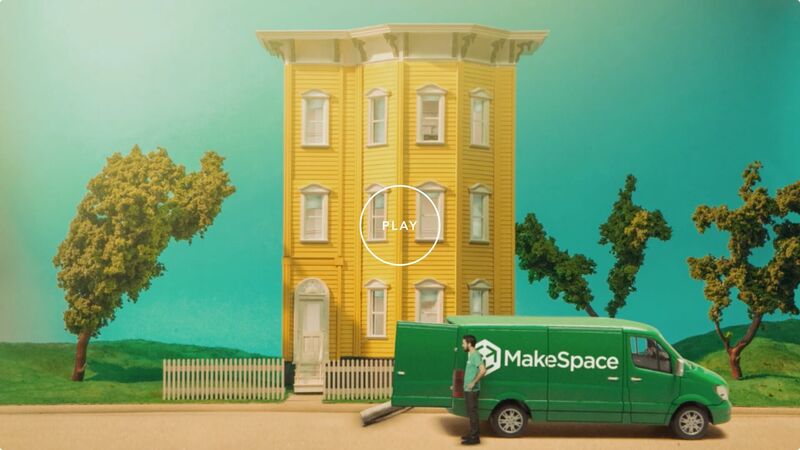 "MakeSpace is grand! The staff were super helpful. Providing photos to clients of what is being stored is a great feature as well. Definitely recommend."